The Internet of Things (IoT) has become one of the most consistent buzzwords of the past decade or so. While the concept behind it, in itself, is very simple, the technology has taken a firm root in the tech world and isn’t being shown the exit anytime soon. Today, IoT is behind most ingenious products and services, promising to provide a user experience that has been just a dream until now. Chances are that you have heard of driverless cars or smart coffee makers, but do you know where else IoT is making a perceptible difference? Here’s our pick of the top ten areas where the technology is thriving. Your house is the place you spend most of your time in, so what’s stopping you to invest in a little tech so that your aboard becomes a lot more comfortable than now? Smart home systems are one of the fastest growing IoT application areas as the possibilities in customizing a house are endless. Think of thermostats that change the ambient room temperature based on whether you are in or out, coffee makers that are synced with your alarm clock to have a cup of your favorite beverage ready right after you get out of bed, or a fridge that reminds you to get groceries that you are running low of. Sounds straight out of a dystopian movie? All this and a lot more are already available in the market (albeit at exorbitant prices, so the rest of us should wait for them to become more affordable). What’s more, most of these gadgets can be controlled conveniently from mobile apps. The day is not far away when a tap on your smartphone screen would get all your chores done and cook a nice meal for you, without you having to move an inch from where you are. Now that we’ve seen smart homes, the next step up the block is smart cities. Problems that every conventional urban settlement faces – traffic, waste management, noise and pollution control and such – can be solved at least to some extent by employing IoT. The key to this is scattering various sensors all over the city and constantly collecting data, which can then be fed into an AI that analyzes and sorts it all out, picking up details of interest. This can then be reported to the concerned human authority or device, who/which can see to what can be done to counteract the situation. Tech giants Google and Apple have already ventured into this domain with their Glass and smartwatch respectively. 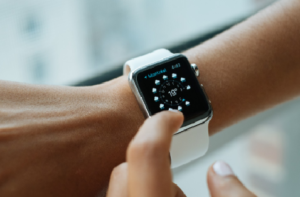 Though the trend hasn’t really caught up yet, wearable technology is a hot research topic pursued by academics and industry personnel alike. Wearables may or may not be synced with your smartphone, maybe geekily conspicuous or hidden under stylish jewelry, but there’s no refuting the fact that they are extremely cool and useful. While some wearables help you constantly stay in touch with your near and dear ones or give instant social media updates, there are also those that are far more utilitarian, like watches that send SOS messages in case of an emergency or wearables that monitor health parameters. Some gadgets can also help the elderly and sick live a relatively independent life, an aspect which is explored later in this article. Using IoT in the manufacturing industry is an entire domain of its own; in fact, this field is known as the Industrial Internet of Things (IIoT). Industrialists and businesspeople are exploring the feasibility of cutting down on manual laborers and employing machines for the same jobs. Also, these machines are not standalone; they will be connected to each other via IoT. Some small-scale entrepreneurs who dabble in manufacturing have completely mechanized their factories, enjoying enhanced efficiency and slashed-down costs. Simply the press of a button from even half a world away can activate your factory and let you set the production parameters, following which your IoT network will do all the work for you. No holidays or employee strikes need to be taken into consideration. Sounds great, but the downside to this is that it may result in rampant unemployment. No technology is deemed truly successful if it cannot solve basic human problems. Likewise, IoT’s contribution to healthcare is one that can be neither underestimated nor overlooked. From wearables and epidermally worn patches that track vital signs to systems that can assist the elderly and differently abled, the scope in this area is just too vast. IoT can potentially enhance post-treatment patient monitoring without all the hassle that is usually associated with it. Together with blockchain technology, IoT can help take a step towards decentralizing medical records in a secure way, so that the medical history of any patient is readily accessible to healthcare professionals. Transferring electricity from power generation stations to our homes is an important activity that happens every day constantly. Power grids that understand each establishment’s power consumption and needs will be able to do the job better, which is where IoT comes into play. The entire system makes use of smart appliances, smart power meters, and processing systems. Usually, the power sources associated with smart grids are renewable. These smart grids can also be integrated with smart home systems to provide power to each house individually based on its power consumption and whether the occupants are in the house or not. 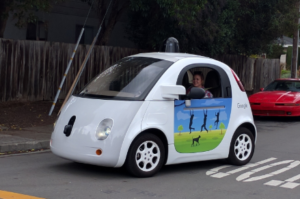 Driverless cars are one of the most well-known embodiments of artificial intelligence today. We hear about them almost every day now. Going a step further, cars of the future might be able to communicate with each other and traffic systems in order to avoid congested routes and accidents. Moreover, driverless cars can also be equipped with computer vision so that they can sense potholes and other obstacles for a smoother and safer ride. IoT-enabled vehicles can also be made to report their fuel and maintenance status as and when necessary, directly to their users’ smartphones so that major crisis situations are averted. Retail stores looking to market and sell their products better can make use of IoT for the same. Analyzing buyer preferences in order to target customers could be one possible area. In this digital era, connecting to the consumer even outside the store is a great way to sustain the customer base and expand it. Online retail dealers can analyze buyer behavior geographically in order to stock better and save on transportation costs. Providing users with delivery status and tracking is another valuable addition that IoT can enable efficiently. Increasing food production is an elementary concern that almost all governments have. Well, we have IoT to the rescue as always. Planting sensors in the field that can monitor real-time crop parameters and possible risks can help farmers in managing their crops. Some systems can also be customized to automatically adjust moisture or light levels in greenhouses when necessary… Collars or rings that can be attached to cattle and poultry will help keep track of them and identify the potential outbreak of any disease. Fishermen using satellite-based systems report better yields and safer fishing trips. This is yet another fertile domain for IoT applications. Smart locks for both domestic and industrial applications have already made a niche for themselves in the market and are preferred by a lot of people. Most of these systems use face recognition, fingerprint sensing or smartphone codes to operate and are pretty simple to use despite being almost impossible to trick (unless your smartphone gets stolen or whatever). Okay, say you are in a different town and your friend needs to get something from your house. No problem. You can temporarily give access to him/her, which will automatically be revoked once a set time period is over. Pretty convenient huh? Burglar alarms of the future would not only use cameras and laser beams to keep intruders out but also other parameters such as body heat and pressure on the floor will help you keep your possessions secure. Unless and until someone hacks into the software, everything’s safe and fail proof. These are just some of the most important IoT applications that are emerging right now. Do you have any other IoT products and services that you are eagerly waiting for to hit the markets? Let us know!